The latest update of GYMer (2.5.4) and GYMer Pro (2.2.3) includes a considerable improvement in the rest timer. Several users have experienced the timer stopping on its own when other apps were open on their device, taking up system resources. The timer is now a service that runs in the foreground and will place a notification in the notification drawer as long as the timer is running. The timer should continue to run even when the demand on the operating system is high from other applications. Upon completion of the timer, your default Alarm tone will play for 2 seconds, and your device will vibrate, if it has that capability. As always, if you do not want the timer to play a sound on completion, simply go to settings and uncheck "Play Timer Sound." Version 2.5 of GYMer has been released. My original vision for GYMer was for a smart phone app that would be as easy to use as pen and paper yet with functionality beyond the notepad. The primary function that makes GYMer stand out against the competition has been the ability to graph your progress for each lift. 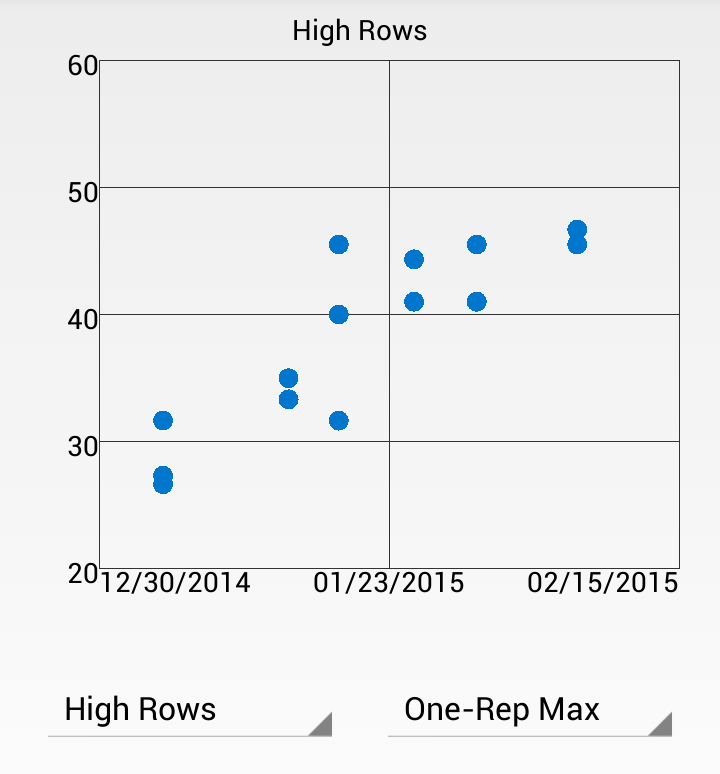 Frankly, I've never been 100% satisfied with the graphing options available for Android and subsequently within GYMer, but the graphing capabilities in version 2.5 of GYMer have finally matured to my satisfaction. The plots are now much more easy to interpret and have a well-padded, clean design. If you downloaded version 2.5 and experienced problems, please upgrade as soon as possible. There were some bugs reported upon release that were promptly fixed.